Our team goes the extra mile to manufacture products that ensure quality and longevity. At Photoflex, we treat our customers like family and only produce products that we are proud to use ourselves. 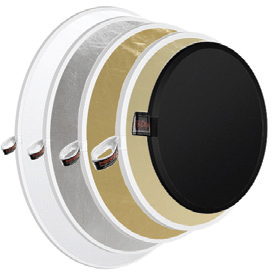 Shop Photoflex with confidence knowing that our products are made to withstand years of use. By purchasing Photoflex products, whether you place your order with Photoflex’s Online Store or at an authorized dealer, you acknowledge that you have had an opportunity to review Photoflex’s warranty terms, have done so to the degree you need to be familiar with them, and you accept their terms and conditions, including the limitations, exclusions, and disclaimers in them. Certain state laws do not allow limitations on implied warranties or the exclusion or limitation of certain damages. If these laws apply to you, some or all of the disclaimers, exclusions or limitations may not apply to you, and you might have additional rights. We warrant that your product will be defect-free in materials and workmanship. No warranty, expressed or implied, is made regarding any product’s merchantability or fitness for a particular purpose. A warranty does not cover normal wear and tear; damage through abuse, neglect, misuse; or as a result of any accident, overloading, improper installation/misapplication, product alteration, improper operation, improper cleaning, improper handling, disassembly or attempted disassembly, or improper maintenance and repair. A warranty does not cover incidental or consequential damages. The warranty will not cover product failure because you broke it (any defect or malfunction that is caused as a result of misuse, failure to follow operating instructions, abuse, or use with improper or faulty equipment, or for any of the foregoing reasons). Please do not attempt to disassemble, repair, otherwise physically alter the product, or interfere with the normal operation of the product as intended by Photoflex, as this will void the warranty. We will, at our discretion, repair or replace any product that proves to be defective in material or workmanship. If your product is no longer being manufactured or is out of stock, we may replace your product with a similar or better product at our option. If you return your product within the first 30 days of purchase, you will receive a new replacement unit. Replacement units that are sent for products that are returned to Photoflex after the first 30 days of purchase may be refurbished units of similar cosmetic wear. 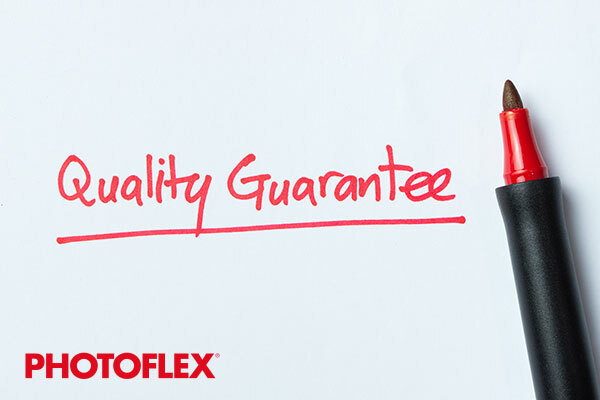 To submit a warranty repair or replacement claim for your Photoflex product, please complete the online return form.